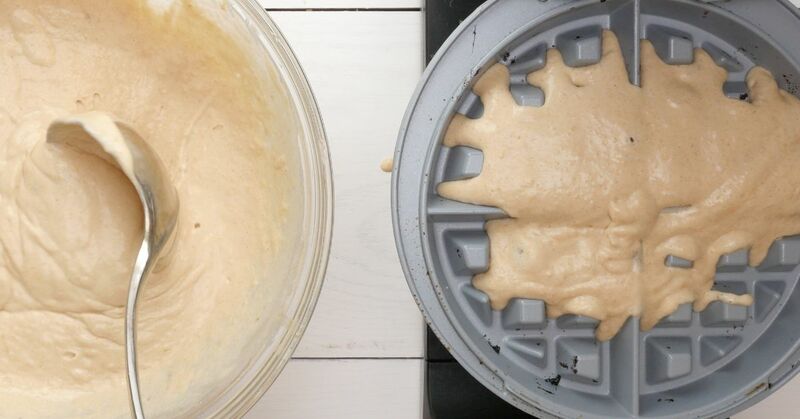 When it comes to breakfast showdowns, I think waffles are always going to win over pancakes. Fluffy cakes drenched in sweet syrup are great, don’t get me wrong. But waffles? They have that extra special something—a crispy crunch giving way to soft cake, and perfect little wells for holding all that sweet maple syrup. Not convinced? Try the recipe below and you will be. 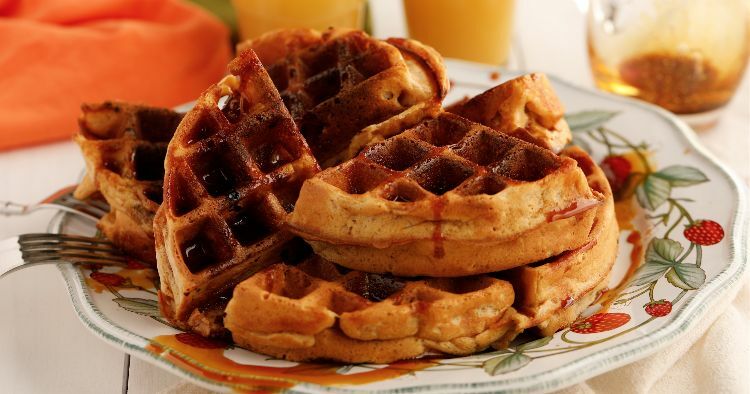 Apple cider and waffles seems like the perfect combination for breakfast on a brisk fall morning, but of course these can be made any time of year. Sometimes I’ll add a compote of diced fresh apples cooked with a little butter, brown sugar, and cinnamon, but the cider maple syrup adds plenty of apple flavor on its own. In a large mixing bowl, whisk together the flour, baking powder, salt, cinnamon, and brown sugar. Add the buttermilk, cider, melted butter, and egg and mix until smooth. Make the syrup. In a saucepan, stir together the cider and maple syrup and heat over medium heat. Cook, stirring occasionally, until the mixture is thickened, about 15 minutes. Meanwhile, cook the waffles according to the manufacturers instructions. Serve the waffles with the syrup drizzled over the top.